If you never saw my Kiko haul post then you might not beware of this post coming. So Kiko have released a 4 duo blush palettes but they are inspired by a chocolate bar, this is something you would expect from Too Faced but i'm happy that an affordable brand has brought something chocolate inspired out because who doesn't love chocolate?! So like I said about their is 4 different types of these duo blushes and they retail for £10.90 which is pretty cheap for a blush duo and that is gorgeous. The first one and the one that I bought is inspired like a white chocolate bar with the shades being Sweet Coral and Apricot, then theres Silky Rose and Mauve which is inspired of a light milk chocolate bar, then there's the in-between milk/deep chocolate bar in the shades adorable pink and peach then lastly there's the dark chocolate duo in the shades preppy pink and tan. 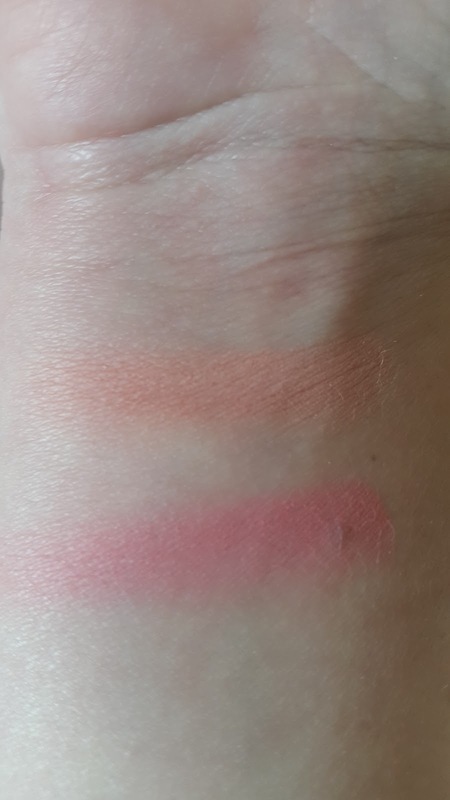 Liked said above I bought the sweet coral and apricot as that's the one that appeals more to me but overall all of these shades are appealing there's no dodgy shade in any of them. 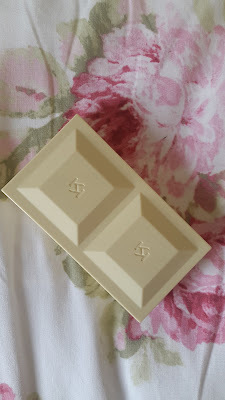 Starting off with packaging, it's beautiful it comes in what looks like a chunky chocolate bar but it's also slim at the same time perfect for travelling, when you open the palette you seem you get a good amount of product and also a huge mirror!! Also when you open the palette it's got this beautiful vanilla chocolate smell again something Too Faced do with their products. For those of you who don't like your products to have a fragrance then this won't be for you but I will just point out that when applied it does disappear. 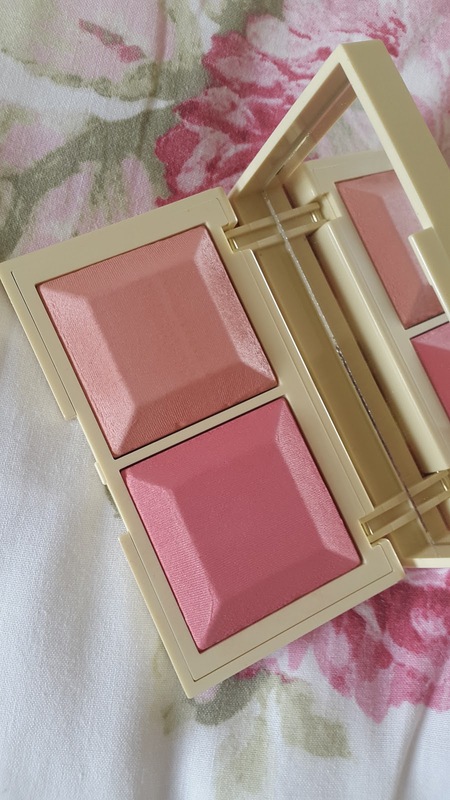 This blush duo is a baked blush which it's formula is ideal for obtaining a natural, build able look, thy can be used on their own or blended together. This pure colour instantly brightens the complexion, it's a matte finish but still has a gorgeous sheen on the skin. 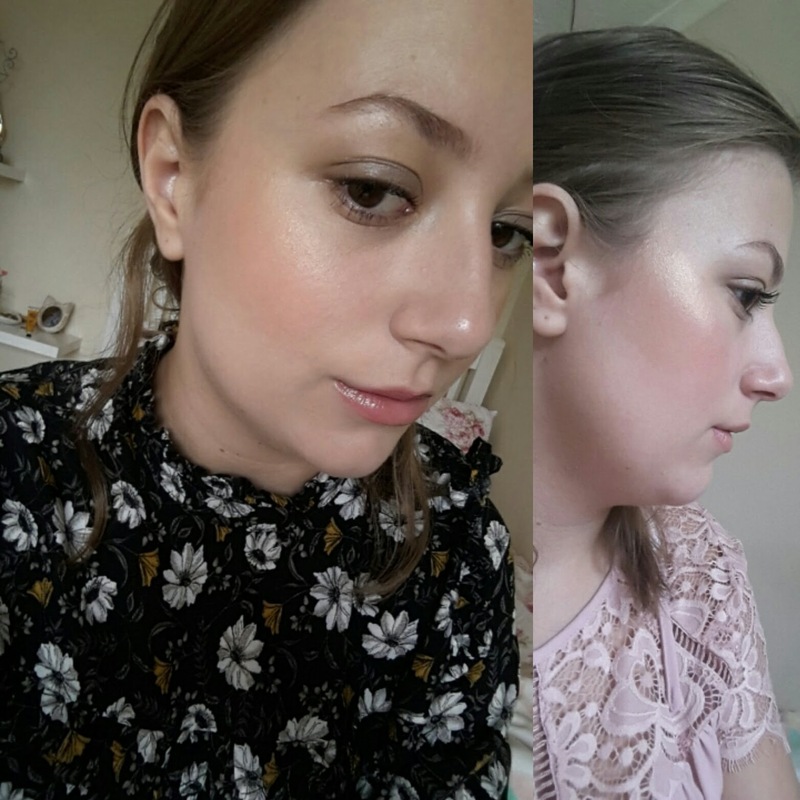 The 2 blushes apply beautifully they go on like a dream theres no streaky/patchiness to them. They are very pigmented and very true to their colour. Moving onto the wear time of these blushes they wear throughout the day very well, they again don't patchy at tall and there's still colour at the end of the day with these blushes which is amazing! Highly recommend this blush palette!